Microwave the butter and water in a large bowl until the water is very hot and the butter is melted. Whisk in the potato package. Mix until combined and allow to fully cool in the refrigerator. Meanwhile, chop the chives and cook and crumble the bacon. Preheat a frying pan or cast iron skillet. Liberally add oil to the pan. 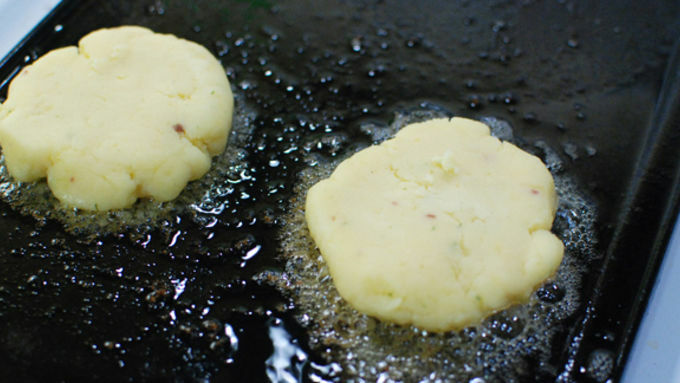 Form thick patties with your potato mixture and cook to brown, about 5 minutes a side on high heat. Be gentle with the pancakes at this point because they will be soft. 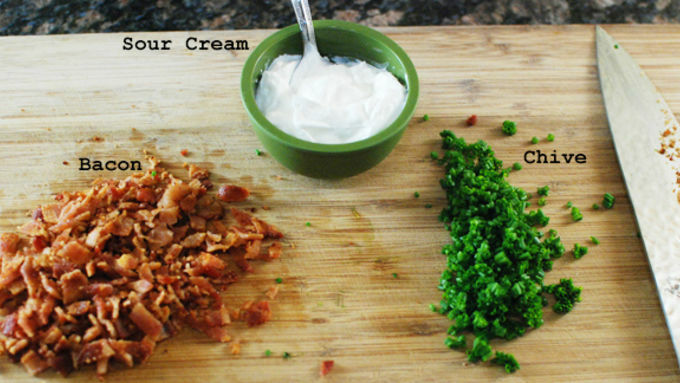 Move to a serving dish and top with the bacon, chives, and sour cream. 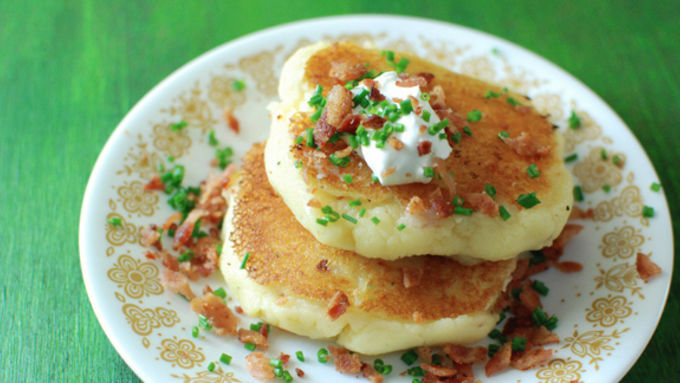 Just like any potato preparation, these guys can be served “loaded” style, with bacon, chive, and sour cream. Some people do this hash brown style with grated potatoes, but I like them smooth and creamy, and lightly browned. 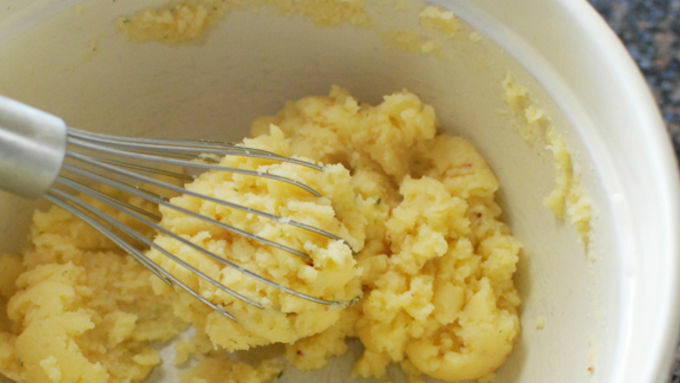 Use Betty Crocker Loaded Mashed Potatoes, and you'll have the loaded potato taste on the inside and out! 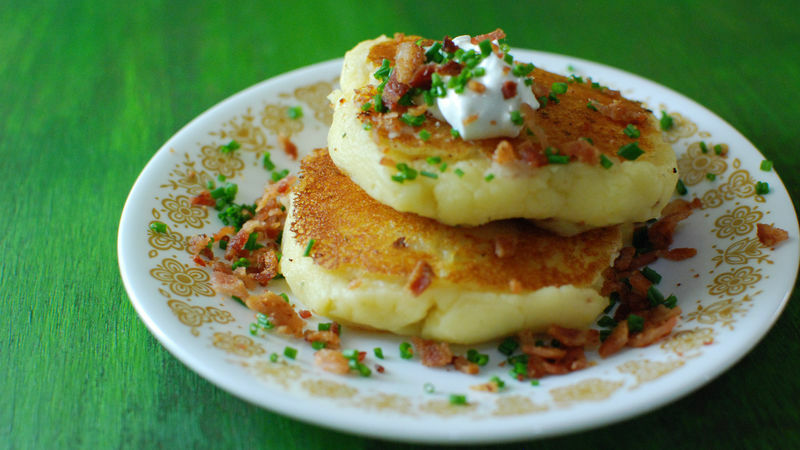 These Loaded Potato Pancakes are great as an appetizer, snack, or even for breakfast with all the leftover potatoes we're bound to have during the holidays. Just fry em up! So tender, buttery, and comforting.